McDowell Knight Roedder & Sledge, LLC, has developed a substantial employment law practice, representing employers in all types of employment-related litigation in both federal and state courts, administrative proceedings, and all forms of alternative dispute resolution. The scope of our employment litigation experience ranges from cases involving Title VII, § 1981, § 1983, ADA ADEA, FMLA, retaliatory discharge, and other discrimination claims to OSHA, ERISA, and wage and hour matters under the FLSA. 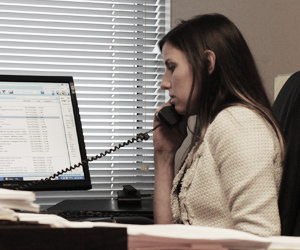 Our lawyers also routinely represent employers in EEOC investigations and assist with responding to EEOC charges. Our firm also handles litigation and provides counseling involving covenants not to compete, unfair competition and trade secret disputes, as well as class actions, TROs and injunctions. Our employment lawyers write and speak extensively at employment-related seminars and conduct employee training on anti-harassment and non-discrimination practices. In addition to litigation, McDowell Knight regularly provides preventive counseling and advice to clients concerning specific employment-related disputes or potential disputes. We often are asked to review personnel manuals, upgrade personnel policies and provide counsel with regard to employee discipline, termination and evaluation issues.